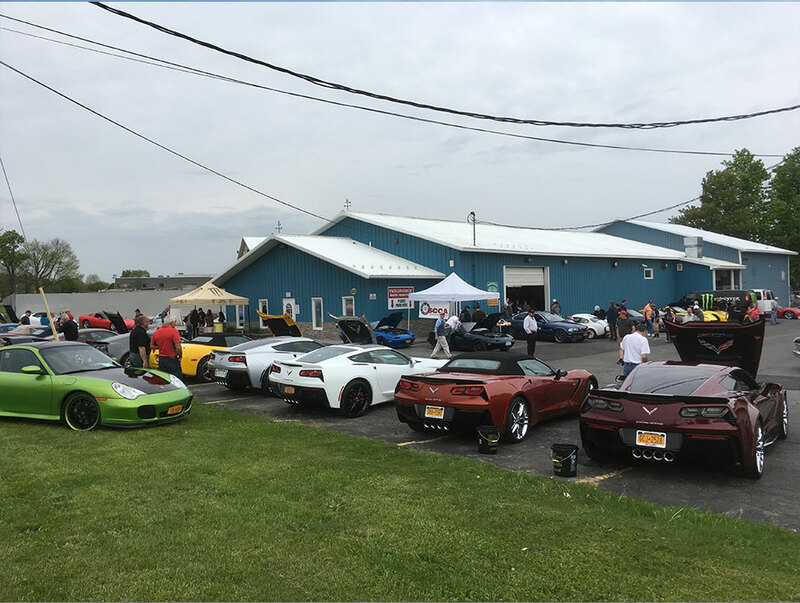 "We work for our customers, not the insurance company"
Jeffrey's Auto Body was founded in 1983 to provide residents of central New York with top quality collision repair. Through the years, we have built a great reputation for honest service, guaranteed work and commitment to our clients. We take pride in making sure your car is brought back to its pre-accident condition. We are also concerned about your safety, and work hard to make sure that only quality parts are used on your vehicle. Jeffrey's Auto Body is independent body shop: we do not have any contracts with insurance companies - we work for you. That means we are your advocates when negotiating on the repairs of your vehicle with the insurance company. We push for only top quality replacement parts, top quality paints and top quality application methods. This ensures that your car is fixed properly. We understand that time after the accident can be stressful, and want to make sure that you get your car back quickly. Our friendly staff will make sure that all your questions are answered and all of the repairs are performed on schedule. You can track repairs here on our web site. Our technicians are ASE and I-CAR trained, and will ensure your car is returned to you in top mechanical condition. Co. President Jeffrey Lyman is the president of central New York’s, Automobile Rebuilders of Greater Syracuse. President of the Service Station and Repair Shop Operators of Syracuse with membership of over 200. He is a board member to an Adirondack mtn. association and advisor to other associations and colleges in the automotive industry and others. Jeffrey’s also sponsors a local co-ed volley ball and soft ball teams. They help put with “Make a Wish” and a donator to the Syracuse chapter of the “Arc of Onondaga”. Jeffrey is married with 2 grown children and grew up in the Cicero area where he started his shop at 14 years of age in the 70's. He has chosen to have only one location so he can be involved with most every repair himself. Many insurance companies use preferred repair facilities similar to that of the health care industry using preferred doctors. They may try to "steer" you to a shop that follows their repair "guidelines" or that has a signed contract with them. Remember that it is your right to select any repair facility you wish. To fully protect your investment, you should select a repair shop that will bring your vehicle back to complete, pre-loss condition. Certain insurance carriers attempt to force shops to use cheaper, untested, imitation parts rather than original manufacturer replacement part (OEM). The insurance company that is paying to repair your vehicle may not pay for all procedures necessary to bring your vehicle back to its pre-loss condition. We will notify you of any omitted operations your insurance company might not pay to perform. Servicing our customers also extends to contacting your insurance and handling the claim for any supplemental or additional repairs needed. We may contact you to approve any additional repairs. In some cases, the insurance company does not approve the payment of operations or parts we feel are necessary for a proper and safe repair. If your insurance company says our shop is not on their preferred list, it's because we are not on their list for a purpose. Their purpose is to save money, our purpose is to repair vehicles the way our professional technicians feel is best and to ASE, I-car or manufacturers specifications. Because we are a Dupont AOQ (Assurance of Quality) Shop, all paint repairs have a 4-year warranty. All other repairs carry a minimum 1-year warranty up to a lifetime warranty, depending upon the labor rate paid.